From NPR's "Wait, Wait... Don't Tell Me!" Paula Poundstoneis a humorist, author and comedian known for her clever, observational humor and spontaneous wit. When she isn’t collecting hotel soaps while on tour or panel-ing on NPR’s #1 show, Wait, Wait...Don't Tell Me!, Paula hosts the popular Maximum Fun podcast, Nobody Listens to Paula Poundstone. Nobody is a comedy field guide to life complete with taste tests, cats of the weeks and leading experts in everything from beekeeping to ping pong to prosopagnosia (say that 3 times fast). Paula’s stand-up credentials are endless: Cats, Cops and Stuff; Goes to Harvard;Look What the Cat Dragged In; and numerous television appearances including The Late Show with Stephen Colbert, LastCall with Carson Dalyand Late Show with David Letterman. Famously, Paula provided backstage commentary during the 1992 presidential election on The Tonight Show with Jay Leno and was the first woman to host the White House Correspondents’ Dinner. Paula can be heard on the big screen as “Forgetter Paula” in Disney/Pixar's Inside Out, winner of the 2017 Academy Award for Best Animated Feature Film. Shehas also starred in her own series on both HBO and ABC, is included on Comedy Central’s Top 100 Comics of All Time and won an American Comedy Award for Best Female Stand-Up. 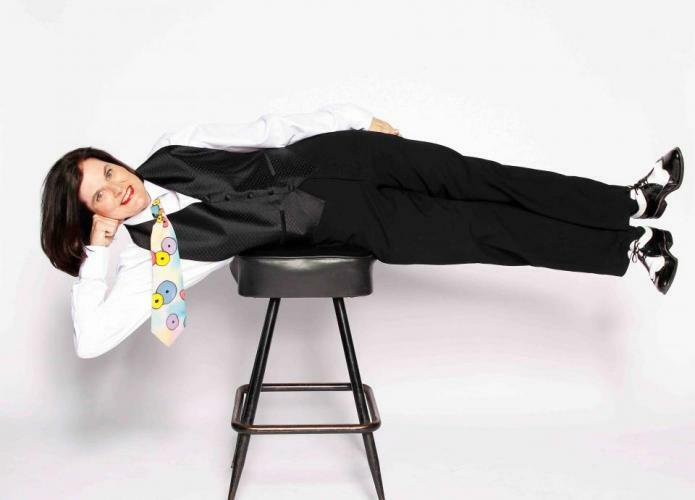 In February 2019, Paula’s stand-up special, Cats, Cops and Stuff was named by TIME Magazine and Tig Notaro as one of The 5 Funniest Stand-Up Specials Ever. Thanks to our Concert Series Sponsor! Advance tickets available at the link below; or by calling (207) 594-0070 (M - F, Noon - 4pm): or at the box office when the theater is open for shows. Handling fee applies to online and phone sales.